With the winter quickly approaching, we are left to prepare for cold weather while imagining being in some tropical paradise. Good thing is, there are places around the world where the temperature never gets low, and which you can visit until the winter blows over, or just to warm up for a week or two. If you can afford it, it’s a great way to make this winter seasons less miserable. We’ve compiled a list of 17 places you can travel to, where the sun always shines and you don’t have to wear anything more than a t-shirt. 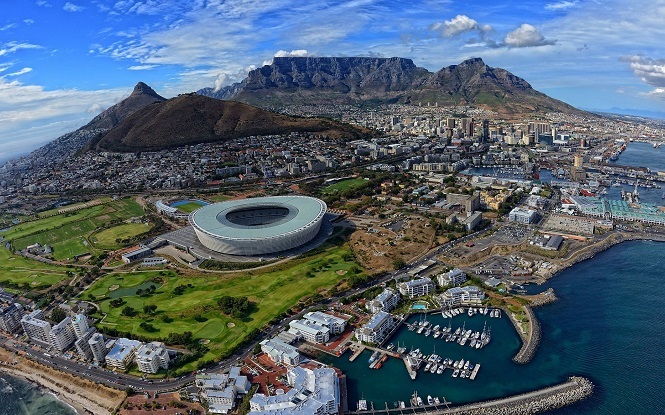 Cape Town – Experiencing Africa is something everybody should do at least once in their life time. One of the best places to start this adventure is Cape Town, South African Republic. Warm weather, amazing beaches, are just some of the things this city offers.